A new study has indicated that banning the possession of shark fins in the United States might actually hurt shark conservation efforts in the long run as other less-regulated countries step in to fill the void, per the AP. Why it matters: There's a concerted effort in Congress, spearheaded by a bill sponsored by Sen. Cory Booker, to ban shark fins in the U.S., piggybacking off the success of a similar ivory ban that was instituted last year. Shark fins? They're popular in soup across Asia, especially China, which is by far the world's largest consumer of the fins. The problem: Caught sharks are often "finned," where the whole — often still alive — shark is tossed back after just the fin is removed. Finning is illegal in the U.S. but remains widely practiced around the world. The study's argument: Because the U.S. is a leader in responsible shark fishing, removing the country from the trade altogether could be to the detriment of shark conservation efforts as other countries would likely attempt to meet demand by finning rather than sustainable tactics that utilize the whole shark. The response from environmental groups: NOAA has investigated hundreds of allegations of finning in the U.S. this decade. A representative for Oceana, a marine conservation non-profit, told the AP: "Yes, we are better, but just because we are better doesn't mean we are good. 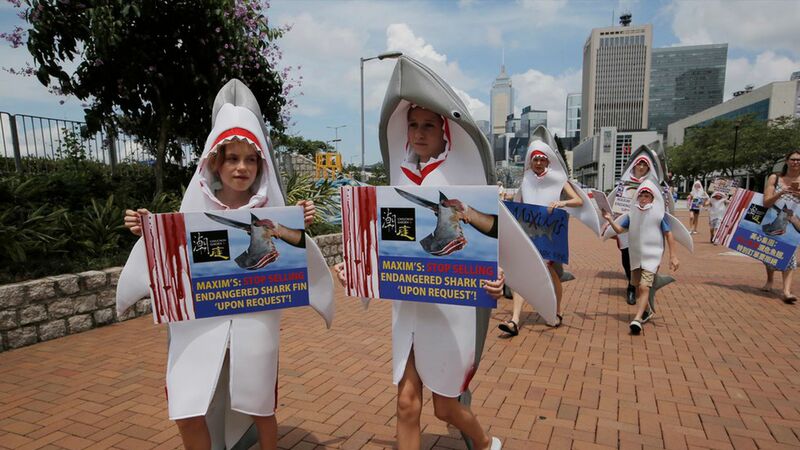 There are other threats facing sharks, but this [proposed ban] is a very important step in the right direction."